The National Deaf Children’s Society and Swim England have teamed up to create this resource. The deaf friendly swimming online CPD is an excellent tool for teachers and coaches to learn how to teach and coach a deaf swimmer and ensure that deaf and hard of hearing young people are fully supported in accessing swimming sessions. There is no Swim England accredited CPD certificate included but if you would like one you can choose our certificated Deaf-Friendly Swimming CPD. 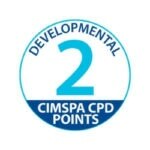 The CPD is for Swim England Level 2 swimming teachers and coaches.